I have never made a Christmas cake before leaving that up to my highly practiced Mum and Aunty. 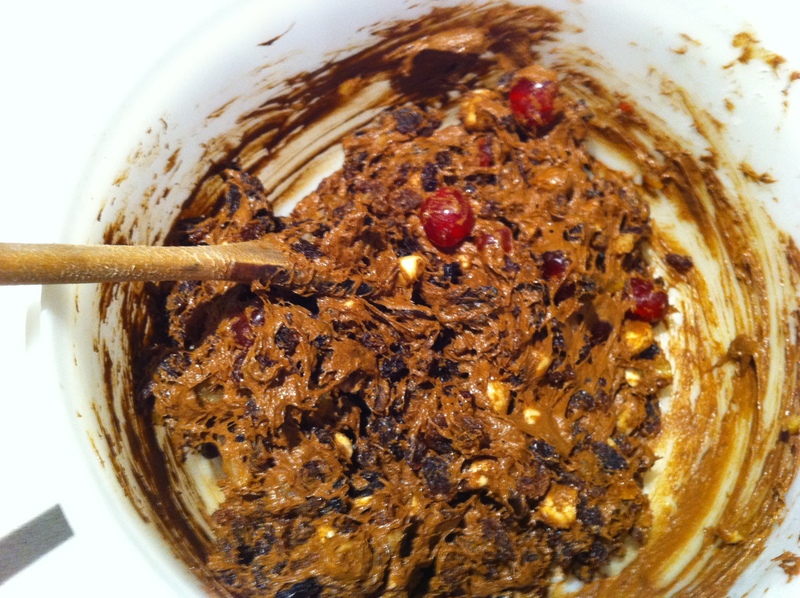 However, this year it is up to me to make the gluten free Christmas cake. 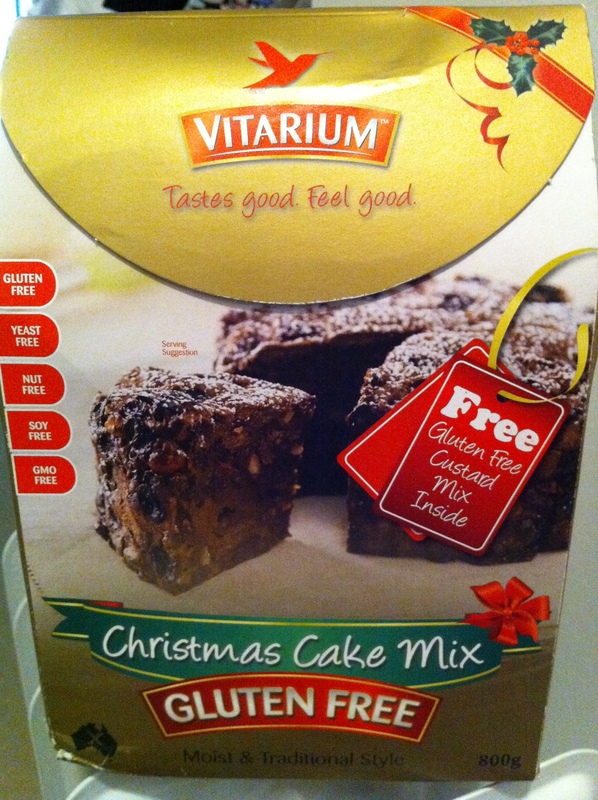 I was given a few recipes however I also received a package in the mail the other day from Vitarium which contained a gluten free Christmas cake mix. I decided to make both the Vitarium Christmas Cake and a Christmas cake from scratch using a recipe from my Aunty as I also needed to take some cake to work (stay tuned for another post on making a gluten free Christmas cake from scratch). 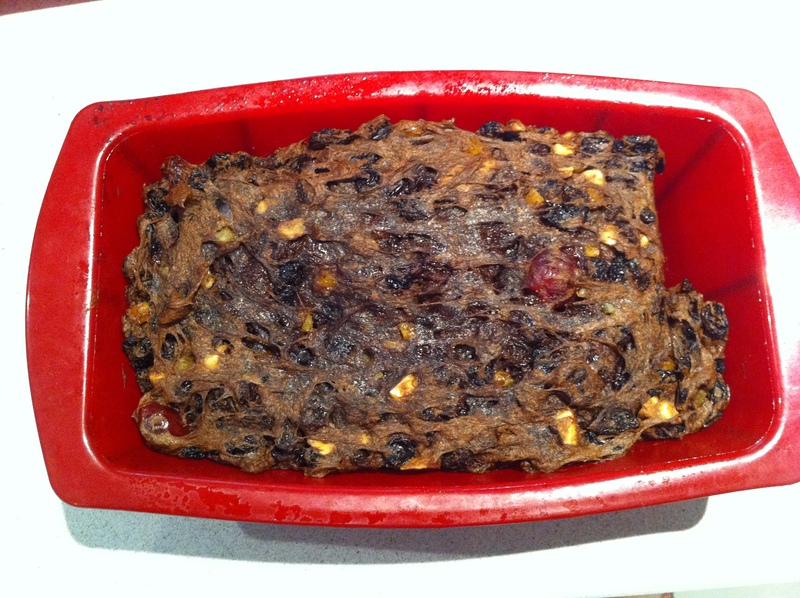 Making the Vitarium Christmas Cake is very simple. All you need to do is beet together 2 eggs, 4 tbs margarine, 1 tbs water and the cake mix. 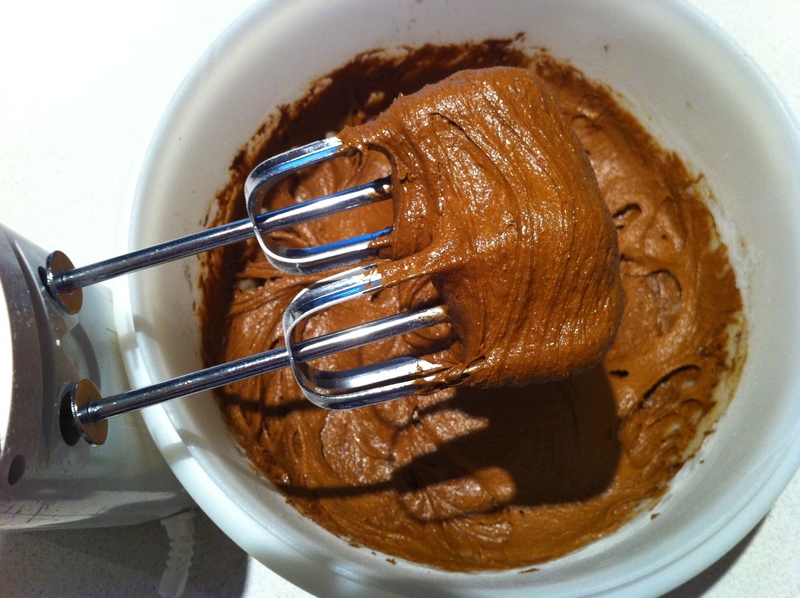 This mix is very thick and so I added a bit more water – however don’t worry it is supposed to be thick! You then add the fruit mix (I took out one cup of the fruit mix they provided and added more peel, cherries and roughly chopped whole blanched almonds). Then stick the cake in a 15cm cake tin (I didn’t have anything small enough so used a banana bread tin), cover and bake for 1.5 hours at 180⁰C. So now for the good news, the cake tastes awesome! At about $14 a box I thought at first that this was a quite expensive way to make a Christmas cake, however when you think about how many ingredients you need to buy when you are making a Christmas cake from scratch it actually isn’t too bad. The Vitarium Christmas Cake Mix comes with a free gluten free custard mix which I made up, however I prefer my Mum’s recipe for brandy custard (which I will also post about soon) as this custard mix is a bit plain (though you could just add some brandy to this mixture). The cake was quickly gobbled up at work so I think they like it too! 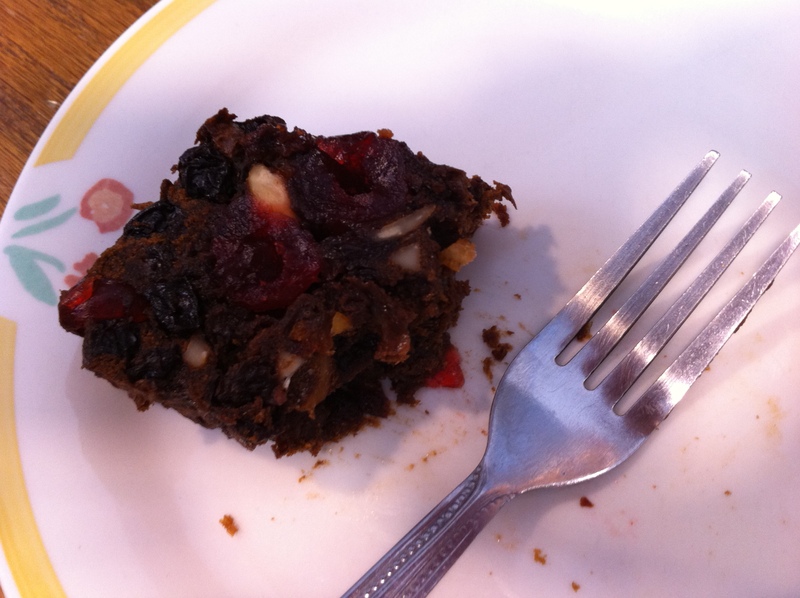 Do you enjoy Christmas cake? Your Christmas cake was delicious Petra! Thanks for sharing with the team! Not too bad, price wise, given how many things you do buy for it! I did wonder about that – than you for the tips!